Winter is in full swing. It’s cold, cold, cold! The last thing on your mind is summer and your pool. However, now is the perfect time to install a pool fence around your pool. The last thing you want to do is start a construction project around your pool when all you want to do is take a dip. Also, it’s the law. All in-ground, above ground or on ground pools, hot tubs or spas require a pool fence or other barrier. The barrier must measure at least 48 inches in height. There should be a 2 inch maximum vertical clearance between ground level and the fence. Spacing between vertical planks should not exceed 1-3/4 inches in width. All gates need to open outward and should be equipped with a self-latching mechanism. Maximum mesh size for chain link fences is 1-1/4 square inches. All doors with direct access to the pool need to be equipped with an alarm that sounds no more than 7 seconds after the door is opened and should sound continuously for a minimum of 30 seconds. All doors with direct access to the pool need to be equipped with a self-latching mechanism. The pool should be covered with a power safety cover capable of holding 485 pounds when closed. Since 1955, Hercules Fence has been providing professional service and quality installation for both commercial and residential fences throughout Maryland and Northern Virginia. We can handle all of your fencing needs, including Pool Fences in Northern Virginia and take great pride in the wide range of options we offer, from chain link to custom wood fences to ornamental aluminum and steel fences. 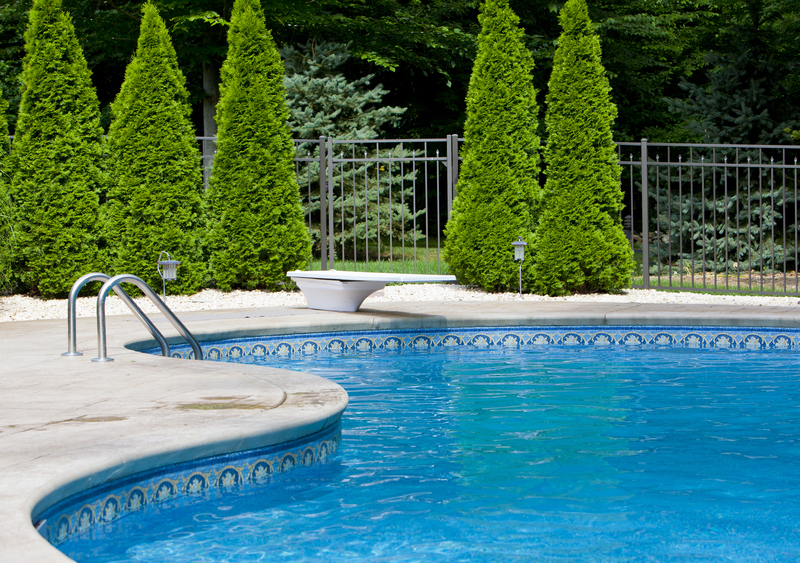 If you have any questions about Pool Fences in Northern Virginia, please contact Hercules Fence of Northern Virginia today by calling (703)551-2609 or visiting our website. Also, check out Hercules Fence of Manassas on Facebook, Twitter, Google+ and YouTube! This entry was posted on Friday, January 3rd, 2014 at 5:28 pm. Both comments and pings are currently closed.